Schiuma dall'essenza affascinante di patchouly. INCI: AQUA (WATER), COCO-BETAINE, DISODIUM LAURYL SULFOSUCCINATE, SODIUM COCOYL ISETHIONATE, PARFUM (FRAGRANCE), COCO-GLUCOSIDE, GLYCERIN, CAMELLIA SINENSIS LEAF EXTRACT, PYRUS MALUS (APPLE) FRUIT EXTRACT, CITRUS AURANTIUM DULCIS (SWEET ORANGE) EXTRACT, ALTHAEA OFFICINALIS ROOT EXTRACT, ALOE BARBADENSIS LEAF EXTRACT, MALVA SYLVESTRIS (MALLOW) FLOWER/LEAF EXTRACT, GLYCERYL OLEATE, BENZYL ALCOHOL, SODIUM BENZOATE, SODIUM DEHYDROACETATE, LACTIC ACID. 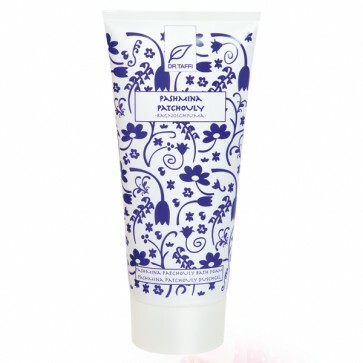 Descrizione: The foam is from the fascinate essence of patchouli. 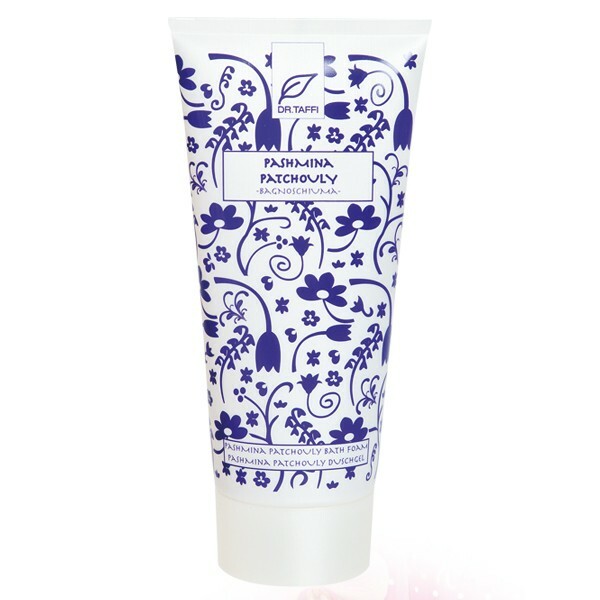 Its delicate composition sooths and restores the skin. Thanks to the note of incense, amber and precious wood which relaxes the sense as a warm pashmina. AQUA (WATER), COCO-BETAINE, DISODIUM LAURYL SULFOSUCCINATE, SODIUM COCOYL ISETHIONATE, PARFUM (FRAGRANCE), COCO-GLUCOSIDE, GLYCERIN, CAMELLIA SINENSIS LEAF EXTRACT, PYRUS MALUS (APPLE) FRUIT EXTRACT, CITRUS AURANTIUM DULCIS (SWEET ORANGE) EXTRACT, ALTHAEA OFFICINALIS ROOT EXTRACT, ALOE BARBADENSIS LEAF EXTRACT, MALVA SYLVESTRIS (MALLOW) FLOWER/LEAF EXTRACT, GLYCERYL OLEATE, BENZYL ALCOHOL, SODIUM BENZOATE, SODIUM DEHYDROACETATE, LACTIC ACID.